Tag Archives for " Comeback "
The story of how Starbucks almost went away, in fact it’s stock price was well below $10 a share, and how it recovered to where it is profitable and how it’s current stock price is at $60, is in one word, fascinating. This is a great read for any individual or organizational leader to read. The quotes that I have included will just give you a taste of what’s in the book. Also, another word that describes the book is hope. The light had almost gone out at Starbucks. While my copy is highlighted and dog-eared all over, I have chosen just a few quotes to give you an idea of what’s in the book. In the following quotes I have italicized some key words. 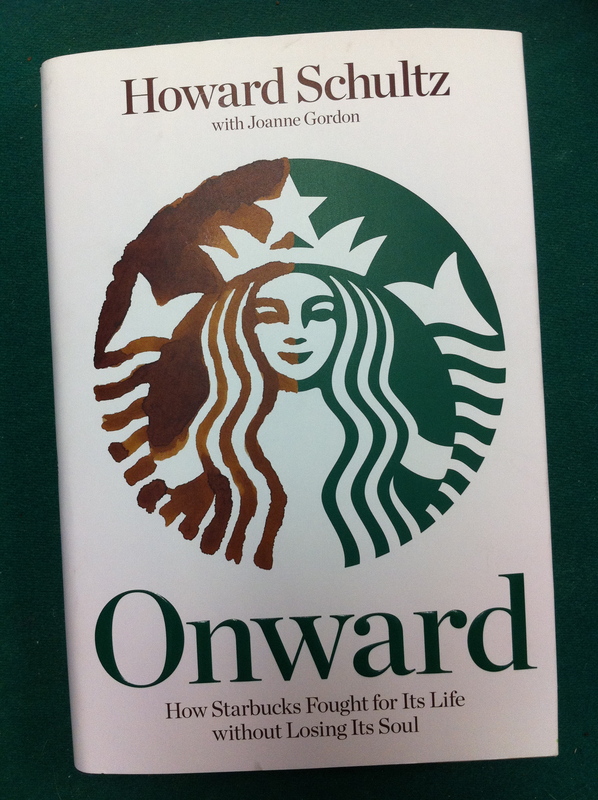 As you read the book you realize that Howard Schultz put himself through a lot. In other words, he had enough money. He did not have to go back to Starbucks. So why did he do it? Onward is a candid and compelling story of a remarkable comeback. This book is required reading. Onward was one of my favorite books not long ago. I purchased it as soon as it came out and devoured it within the week. It’s the story of how Starbucks almost went away with a worsening economy and internal troubles. However, the former CEO, Howard Schultz, came back as CEO and began to once again oversee the day to day operations. Today Starbucks’ stock price has increased almost ten-fold from its low. It has once again returned to profitability. Since I go there regularly, their story has always intrigued me. The book is a great read as it covers the decision making, the store closings, and also the elimination of some of its people. On the one hand I’m sure many felt that Schultz went about it the wrong way. For some it could appear that he was unnecessarily ruthless at times. But Starbucks had lost its way, and someone had to right the ship. Howard Schultz was the man to do it. I have included twenty quotes that sort of summarize the decisions, the emotional turmoil, and the process that brought Starbucks back. Rather than include all twenty in one post, I will break it into two posts with several highlights in each post. These are all the words of Howard Schultz. Obviously being at the top can be emotionally draining and incredibly challenging. In my next post I will add some more quotes and lessons from a great comeback.